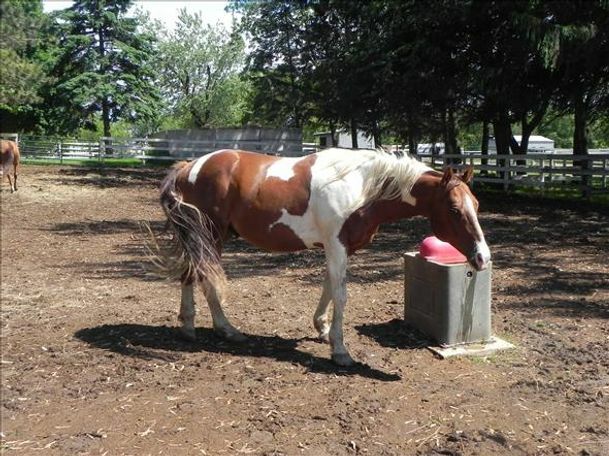 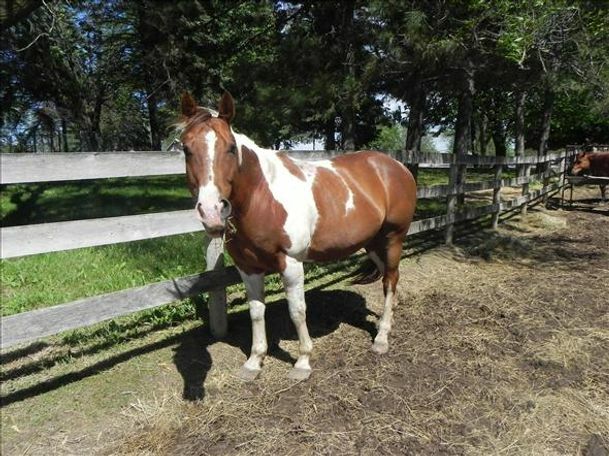 Sonny is a flashy paint gelding that has recovered well from severe neglect. 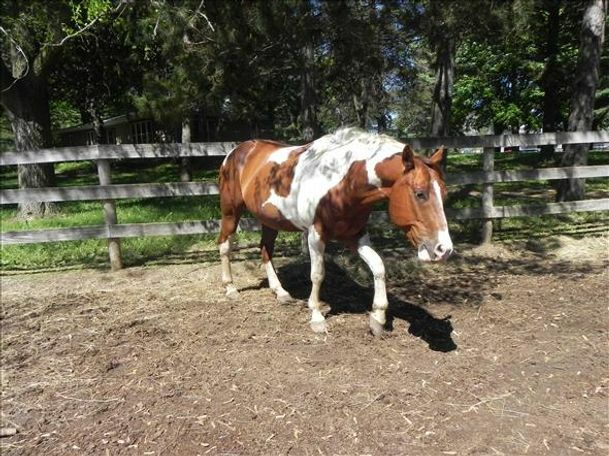 He stands around 15 hands tall. 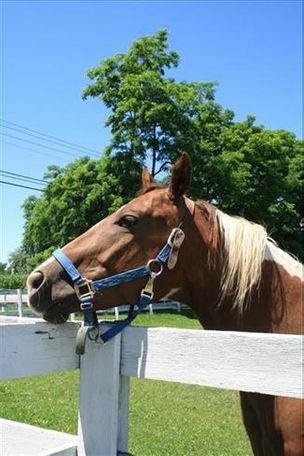 Sonny is sweet natured and is generally good to handle. 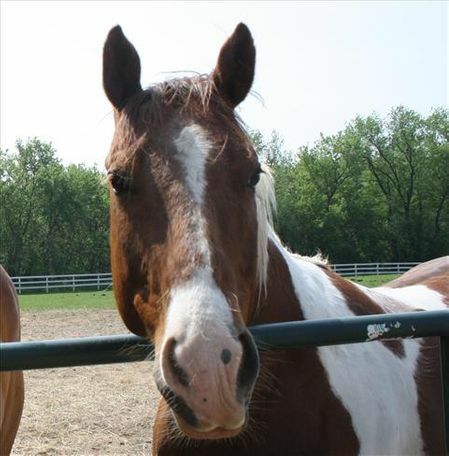 Sonny is mostly blind in his left eye, so he can sometimes get nervous when handling. 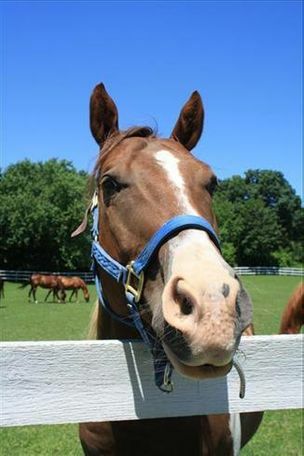 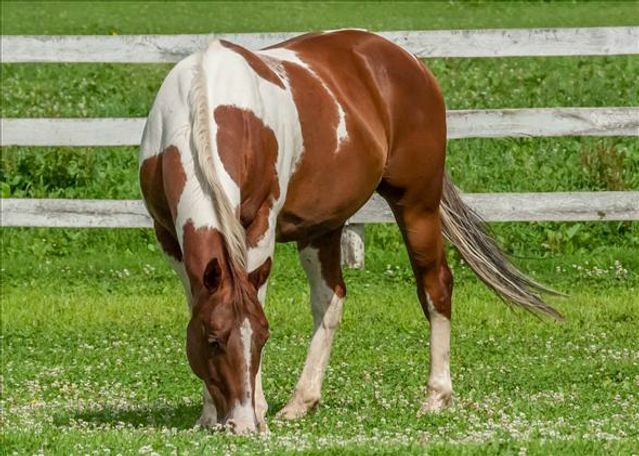 He would make a great pasture pal.